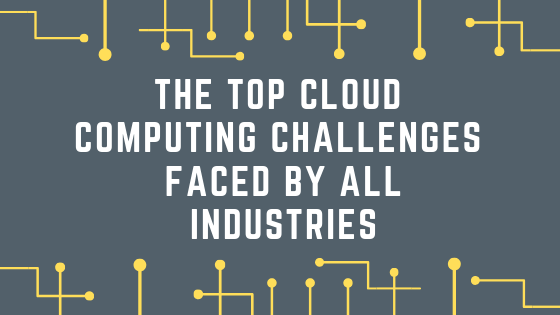 While cloud computing has been taken up by numerous businesses across vast industries, there are a few challenges that are considered standard and faced by each of them. In today’s blog segment, we’ll be taking a look at what these common challenges are and how VEXXHOST can help you mitigate them. While there are many benefits to adopting a cloud strategy, such as the scalability and flexibility it offers, companies still face certain challenges through the process. Selecting the right platform, the right design, all while staying current with the everchanging technology landscape are just a few of the areas of cloud migration that demand proper forethought. These challenges are faced by each and every organization entering into a cloud strategy, however, not every cloud provider is equipped with the industry experience and know-how to accurately guide them. VEXXHOST, on the other hand, is. We offer multiple deployment methods and solutions that we then tailor to our client’s needs, ensuring the best fit for their use cases. Although managing IT tools and services in-house may initially seem like a simple way of saving money, it can actually lead to some costly problems over time as companies expand and technologies evolve. Not to mention the personnel and training requirements needed in order to maintain a full IT team. Additionally, while the majority of organizations are looking to reduce their costs as a means of keeping their IT spending from cutting into profits or core business expenses, this can be difficult to achieve without also impacting the retention of skilled resources. VEXXHOST can help alleviate these complex balancing acts through our extensive expertise and service offering that includes continuous upgrades and updates to the latest OpenStack releases. VEXXHOST also prides itself on being able to deliver exceptional service to our clients for a competitive pric. Another common challenge companies face is that of carrying over their current applications to a new environment in an effort to avoid starting over. Such a problem often occurs alongside vendor lock-in situations where applications aren’t compatible with most other platforms. As a contributor and user of OpenStack technology, VEXXHOST is a true open source partner, meaning that there is no risk of vendor lock-in. Additionally, this has enabled VEXXHOST to garner expertise in integrating and deploying many different applications and services. As discussed in our previous blog post on data privacy, the security of sensitive information is not only a top concern for most organizations, but a federally regulated space as well. So naturally, ensuring that they respect legislation and safeguard critical elements of their business presents a whole other challenge for those entering into a cloud strategy. VEXXHOST can not only provide our clients with top tier data centres that comply with some of the highest security standards but also deliver enterprise-grade identity authentication solutions. As a proudly Canadian company, VEXXHOST adheres to strict data privacy policies that make us the only North American country able to service EU businesses. Don’t let these common challenges get the best of you and your company. Ensure your success by partnering with an experienced and trusted cloud provider like VEXXHOST. Contact us to get started!